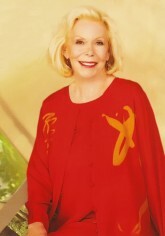 As a facilitator of Louise Hay's philosophies, I will help you apply her simple and true tenants to heal your life. We will learn to see our beliefs and understand from where they come. With this knowledge we can then accept our feelings and rewrite the script of our lives. We learn to process, forgive and release parts of our stories that do not serve our highest self. In this way, we create more space for growth, ease and goodness. "Mahalo Rhonda for being one of my great teachers in life"
"Thank you so much for caring about ohers, being sensitive and thoughtful"
"I have learned to love myself, let go of judgement and self criticism"